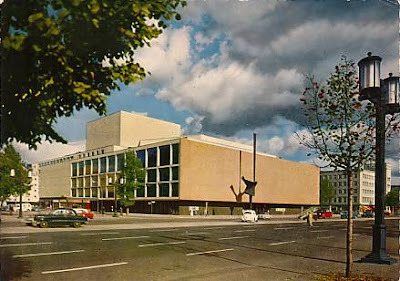 deutsche oper berlin. architect: fritz bornemann (1961). what I especially like about this building is the blank, empty main facade. instead of the expected big windows/glass box lobby of the typical modernist theater building, there's - nothing. More about this spectacular building, here.